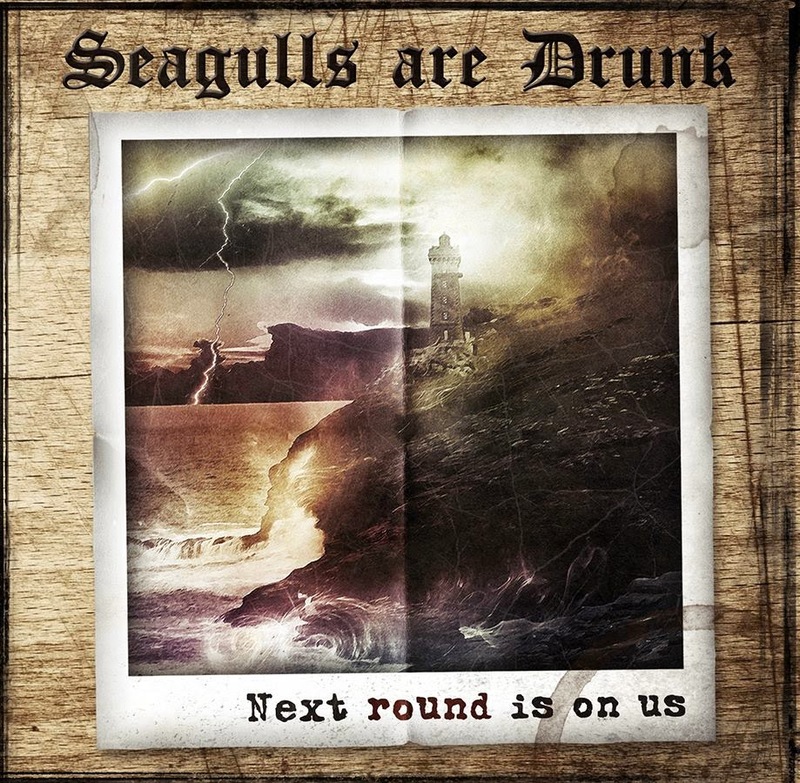 Seagulls Are Drunk are from the French city of Reims and this is the bands follow up to the album ‘Ordinary Tales’ from 2012 and a ‘Demo’ from 2011. A EP that flits between different styles of folk music but with a underlying love of Ireland, Scotland, losers songs, boats, silly music and beer! At just a few seconds under twenty minutes the EP flows seamlessly despite the songs ranging from folk to celtic to rock and pretty much everything else inbetween. Seagulls Are Drunk… with one member missing. Went the toilet at the wrong time! 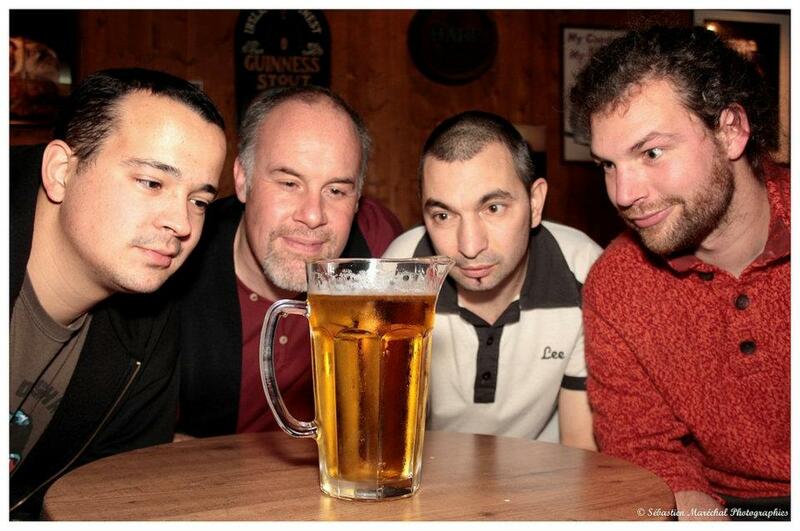 The four members of Seagulls Are Drunk, Bruno, Olivier, Quentin and Fabien have managed to produce something which would actually make you think there’s about ten in the group such a talented bunch they are. Kicking off with ‘Deep Inside Out The Sea’ and a flute intro and straight away the very distinctive vocals and accordion grab you. Slowish sea shanty stuff but not yer usual fare at all. Very interesting with the vocals switching from French to English and a real nice tune with a gang chorus and something i don’t always mention but I really liked the drumming in this song too. ‘Big One Rainbow’ begins in the same way with the flute before drifting off into loads of different influences from medieval folk to Spanish folk and back to celtic. ‘In The Wasteland’ is the most French sounding song on the EP to me and is faster paced than the previous songs. More surprises on ‘The Ballad Of The Jackal’ as it begins with the piano and Bruno at his most Springsteenish in the EP’s slow paced celtic classic with what sounds like that old cockney favourite the spoons being given a good whack. The final track is my favourite, ‘Mr Average’ is another slower song with the lyrics and the accordion turned up and leaving you something to think about. Seagulls Are Drunk pull out all the stops playing untold amount of instruments and it works great with once again Bruno’s vocals working brilliantly with the tune. Five tracks, twenty minutes, great production and recording but unfortunately no lyrics so you’d miss nothing by downloading this. Loving this EP and although its not yer usual celtic-punk fare it certainly is not out of place and if you’re a fan of Tom Waits at all then I’d say you’ll love this as much as me.